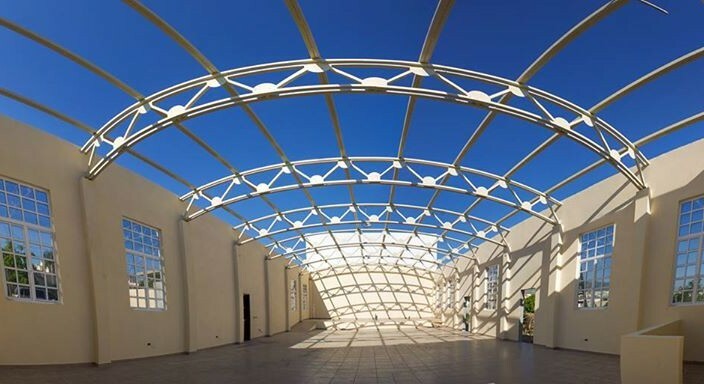 Scrubbed off the earth: That is how Hurricane Odile left the church building of the Emmanuel Evangelical Church of Los Cabos in San José del Cabo, Mexico. Distressed at losing a building they had sacrificed to build, the congregation despaired that they would ever have a place to gather again. But they prayed. That is when God stepped in. After the storm, TEAM put out the word through social media of our Baja hurricane relief effort, and gifts started to come in — not just for Emmanuel Evangelical Church, but for other hurricane relief needs as well. While on a quick, unrelated trip to see donors in Florida, I received an email from TEAM’s donor resource center in Grapevine, Texas. A gentleman had called, wanting to know, “Does TEAM have any church building projects in need of funding?” Indeed, I had three! As it turns out, this man, who spends part of the year in the North and part in Florida, was only 10 minutes away from the hotel where I was staying. I was scheduled to fly home the next afternoon, so I called and asked him if he was free for breakfast. Thus began something only God could have arranged. Upon meeting this believer and his brother, we quickly discovered that my dad and he had once pastored the same church. He and I had actually lived in the same parsonage more than 50 years ago! My dad had left that church, and this man followed some four years later, so we knew the same people and had the same Sunday school teachers and family doctor. Needless to say, we quickly connected. He, his three brothers and his sister, along with other family members, wanted to honor their parents and grandparents by helping a church in need of a building. 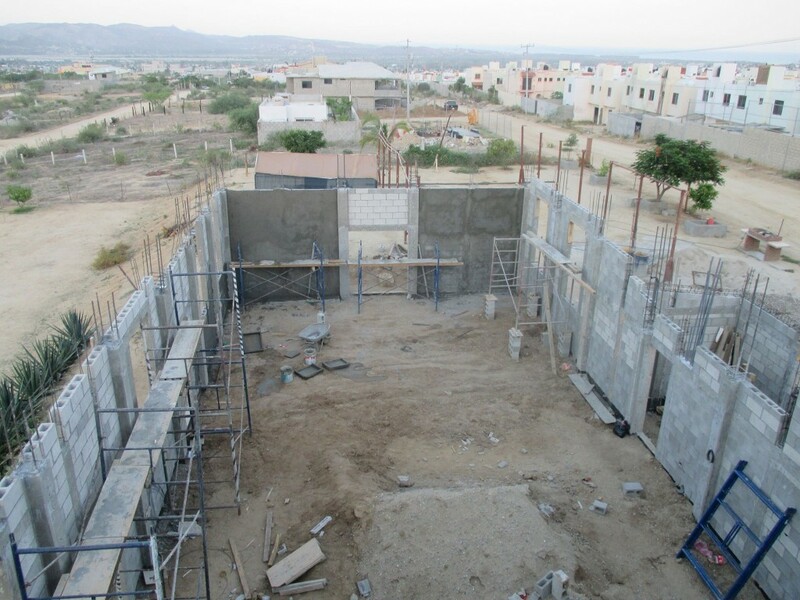 I presented the three opportunities for impact, and they selected Emmanuel Evangelical Church, located at the southern end of the Baja peninsula. 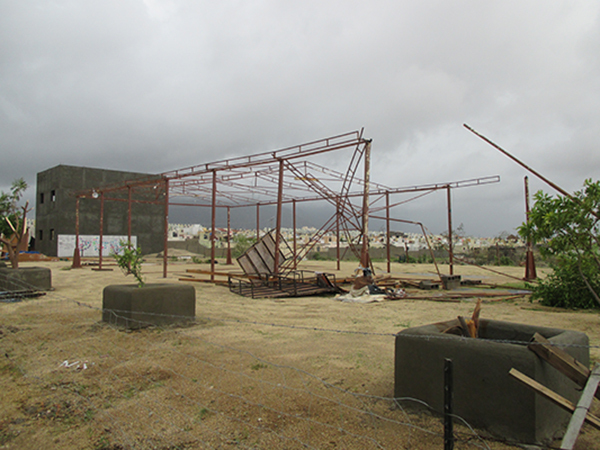 Hurricane Odile had leveled the church building five months earlier. This family gave a generous matching gift that stimulated the church and donors from the United States and Canada to step up and meet the challenge. Within weeks, the funds were given, and construction started as summer began — in a race to beat the new hurricane season. 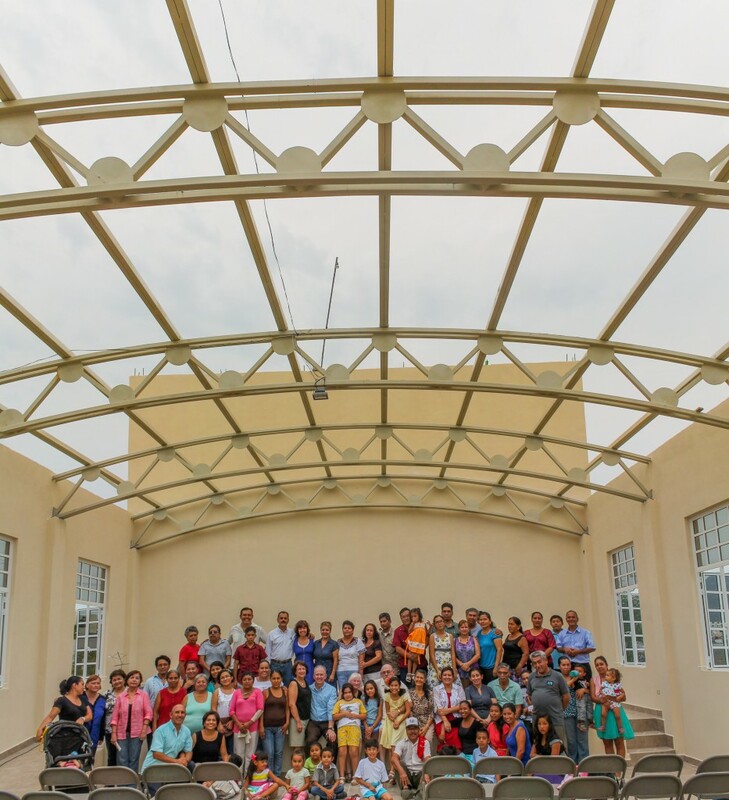 God put all the pieces together: skilled engineering, architectural and construction help from the local church, TEAM social media, North American churches and this family. Construction on the sanctuary this summer. Photo courtesy of Vicki Reyes. This fall, one of the brothers and his wife took a celebratory cruise down the West Coast, with a port of call at Los Cabos. When they discovered that they would be close to the church, they asked if it was possible to see the building. Absolutely! On October 2, 2015, I met them in Los Cabos. They met our TEAM missionaries, Art and Vicki Reyes — who have been outstanding in their work on this project and with donors — and we all had lunch together. After lunch, we went to see the church building, which just had the roof left to install. What a joy to see the delight of the donors at the high quality and attractiveness of the building! The church had planned a service of thanksgiving and celebration, and I could not tell who was happier: the church people for the provision of such a blessing or the donors who saw a family vision to honor their godly parents fulfilled! Tears of joy flowed freely. The congregation celebrating and praising God for the blessing of a place to gather. Photo by Armando Lomelí Perales. Together, we installed a plaque in honor of their parents and enjoyed the reception together. Then it was back on board ship for the donors to continue their journey. “This was the highlight of our trip,” they said. It was wonderful to see a multi-generational family work together and be an encouragement to a local group of believers. That family’s gift in turn encouraged other people and churches to give so this church would have a new building to serve the community. God stepped in and his plan was accomplished. God be praised! 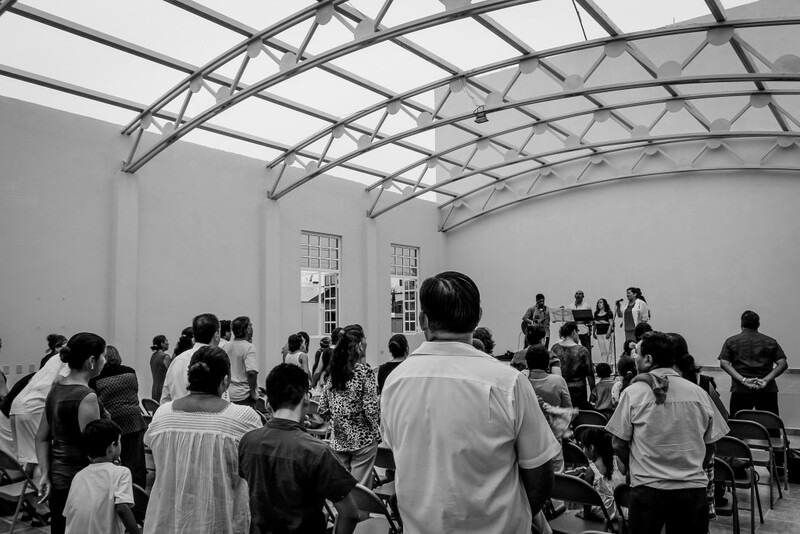 The congregation of Evangelical Church of Los Cabos. Photo by Armando Lomelí Perales. You don’t have to make a large donation to make a large impact. 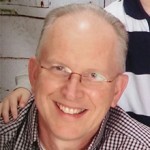 Help TEAM send more missionaries around the world by donating to the GO (Global Outreach) Fund. Click here to donate. If you would like learn more about TEAM Mexico click here. Great article, Doug! We are sooo thankful for the Lord’s kindness and generosity to his people here at Emmanuel Evangelical Church of Los Cabos!!! And thank you for all your hard work for the Kingdom and on our behalf! My husband Ron and I have planned a holiday trip to Los Cabos , starting Feb 23 to March 8. We will be staying at the Holiday Inn Resorts and are interested in worshiping with you. How can we be in touch for further information?